Amboy Locksmith carries a large variety of replacement remotes for aftermarket remotes. This includes car alarms, keyless entry remotes and remote car starters from leading manufactures. It is not uncommon for remotes to be lost of damage which creates a problem for getting into you vehicle. If this happens, we can provide you with a replacement. We also recommend getting a backup remote to keep on hand should another problem arise. 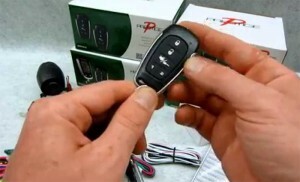 If you have an aftermarket car alarm system, the chances are good that we can assist you with a replacement remote. For lost or damaged remote replacement, contact Amboy Locksmith for your replacement aftermarket remote.